The country’s largest retail company Reliance Retail (RRL) has executed a definitive agreement with the largest fast-moving consumer goods (FMCG) firm ITC to acquire its menswear brand John Players in a deal that could prove to be beneficial for both the behemoths. John Players – a mid-segment menswear brand launched in 2002 – is expected to help RRL widen its fashion and apparels portfolio. The sellout could also improve ITC’s non-cigarettes FMCG business margins. 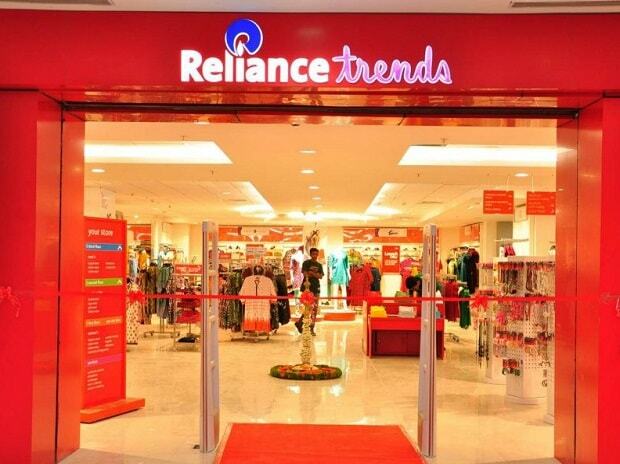 While size of the deal is yet to be declared, according to Reliance Industries – the parent firm of RRL - the acquisition will strengthen the retail arm’s readymade garments and accessories portfolio in the fashion & life style retail space. It further said the deal will consolidate RRL’s leadership position as India’s largest, most profitable and fastest-growing retailer. After the deal, RRL will get “ITC’s rights, title and interest, in and to the brand ‘John Players’ and related trade-marks and intellectual property, and the goodwill related thereto,” a Reliance spokesperson said. Industry estimates suggest John Players with sales of over Rs 300 crore a year, was acquired by RRL for Rs 150-200 crore. While this may be the first instance in the recent past that ITC has sold a brand or business – unlike in the past few years when the Kolkata-headquartered firm has only acquired – the deal is not without a rationale. A restructuring of its businesses was due as the firm was looking to rake in profits from its non-cigarettes FMCG business. “As part of the strategic review of the lifestyle retailing business, a restructuring plan is under way. In line with this ongoing restructuring, ITC sold the brand ‘John Players’ and related trade-marks and intellectual property, and the goodwill,” an ITC spokesperson said. Industry sources said, ITC’s focus is to grow newer FMCG businesses like food, personal care, and stationaries that it can leverage to grow its institutional strength. The firm has set an ambitious target of touching Rs 1 trillion revenue from non-cigarettes FMCG business by 2030 and expects the segment to drive its revenue in the next decade. Its non-cigarettes FMCG business – worth over Rs 11,000 crore a year – may be one of the largest in the country but the firm has struggled to keep it profitable. According to Edelweiss Securities, the move reflects “ITC’s renewed focus on improving margins of its consumer business.” It resembles the firm’s action in the premium end of the market that it had taken up a few years ago, it noted. In fact, measures taken by the FMCG giant on that front in the past few quarters reflected in its earnings before interest, tax, depreciation and amortisation (EBITDA) margin. While in April-June 2018, its EBITDA margin was at 4.5 per cent, in September it rose to 5 per cent and to 5.4 per cent in the October-December period last year. After the offloading, Abneesh Roy, senior vice-president, Edelweiss Securities, estimates that “ITC will focus on the premium end through the WLS stores that were relaunched last month. They were earlier known as ITC Wills Lifestyle. The WLS chain is a larger business contributing about Rs 500 to Rs 550 crore a year to ITC’s total revenue,” he said. Reliance, on the other hand, is aggressively expanding its retail business and can sell the John Players brand of apparels through its offline stores and its online market place Ajio.com. The conglomerate plans to expand its Reliance Trend outlet count to 2,500 by 2024 from 557 now. It also aims to integrate all its offline and online retail operations, including its flagship telecom services arm Reliance Jio, in the coming years. Furthermore, sources said through the deal, the petroleum-to-grocery giant is placing its retail arm at the forefront. John Players’ reach to over 700 outlets in the country will also help RRL sell its other in-house apparel brands. With Rs 69,198 crore sales in 2017-18 and a growth rate of 44 per cent and 95 per cent in the past two financial years, RRL is already the largest and fastest growing retail business house in the country. During the first six months of 2018-19, it grew 122 per cent.